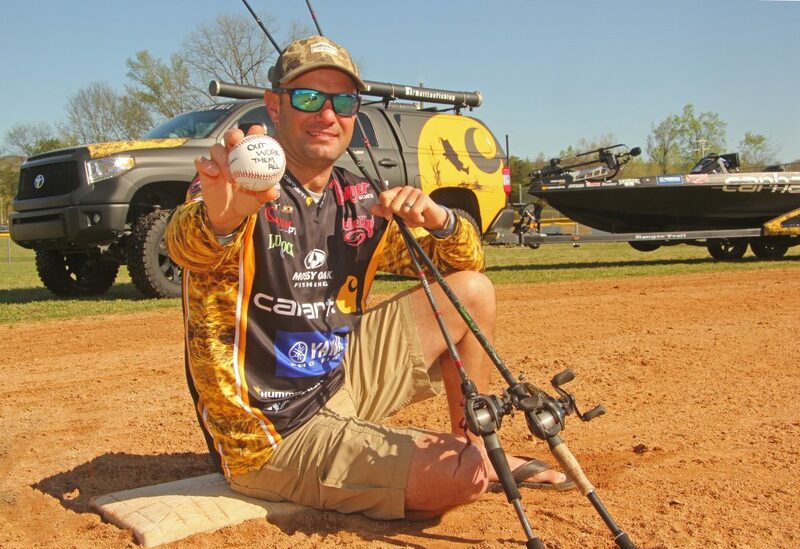 Major League Fishing pro Matt Lee is the son of a Carhartt wearing man who may just be the sweetest natured, hardest working veterinarian in Alabama. So it’s no surprise that hard work has also been the common thread of his son’s current success as a competitive angler, and previously as a 2-time Alabama High School State Champion baseball player as a Cullman Bearcat. “Our pitching staff probably wasn’t the best in the state at Cullman, and we weren’t near as big physically as some teams, but we worked harder than everybody else,” says the now 30-year old Lee, as he reflects on the 2007 State Champion Bearcats. “Baseball was something I absolutely loved from the time I was in tee-ball. But at 5’ 7” and 150 pounds in high school, I wasn’t nearly as gifted as my good friend Josh Rutledge who played for the Crimson Tide and then the Colorado Rockies, or our pitcher Caleb Clay who could throw 94 mph and got drafted in the first round by the Red Sox,” says Lee. Lee graduated from Cullman High with a 3.96 GPA, scored an impressive 29 on the ACT, and eventually earned a degree in engineering from Auburn where he became a national champion in the Carhartt Bassmaster College Series. But it was pure dedication and hustle that allowed him to be a key contributor at second base on the same starting line-up as future big leaguers like Clay and Rutledge. “Fishing became my competitive outlet when my baseball career ended, and just like baseball, I may not be the most naturally gifted angler on tour. So I have to work extra hard to stay competitive against the best bass fishermen in the world,” admits Lee. “Trust me, life as a pro angler can be a physical and mental grind. But I love it. And the cool thing about fishing is through hard work I can be successful. The fish don’t care how big I am or how fast I can throw a baseball,” he smiles. With a dugout full of Top 20 finishes to his credit, a Carhartt Bassmaster College Series title, and two Bassmaster Classic qualifications, obviously the hard work is paying off in a manner to make all who know him proud, including a particular hard working veterinarian in Cullman, Alabama.